If there’s one word to describe this performance of the Trio’s new album, Outline, it’s ‘clean’. From their suave suits and polished looks, to the cobweb-like black and white motion monographs splattered across the stage by Artist Marcii Goosen, everything was immaculately presented. 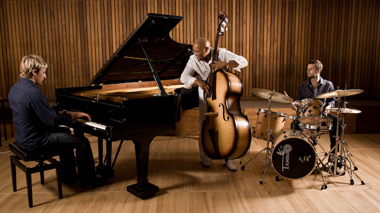 Jason Reolon on the piano, Wesley Rustin (double bass), and Heinrich Goosen (drums) are known to be great musicians individually, but together they create a sound that is not only soulful but is uncluttered by unnecessary ornamentation. And that’s exactly the type of Jazz I like – clean. No glitter, no theatrics, just music stripped down to its purest form. The trio steered well clear of the often frantic displays of virtuosity, providing a mature and emotionally textured performance – a finely woven tapestry that was never too hard on the ear or too soft to fade into background music. The middle of the week met its match in this performance that transported the crowd from the concrete jungle to a classy bar in the 1950s. And while the music was reminiscent of cool jazz (à la Miles Davis) it was not a mere photocopy. The repertoire was jewelled by pieces that were overtly South African-influenced but respectful of the classic American greats. The two featured guests, Buddy Wells (tenor saxophone) and Tony Paco (percussion) each deserve their own mention. Wells added an element of mystery with his delicate treatment of the tenor saxophone. Musicians love to show off their virtuosity, but it’s often more challenging to take a slow piece and create a nuanced and emotionally stimulating performance. Wells achieved this without fault, drawing the audience into deeply coloured and sentimental soaring solos. Tony Paco is highly entertaining to listen to – and to watch. The man is meant for the stage. He used not only his hands but his elbows, his mouth and even his forehead to create sounds that were technically on point but often also comical, adding a dynamic that was a nice balance for the earnest sincerity of the other musicians. Sitting snugly in the striped cushioned seats (definitely the most comfortable in a while) and sipping on a glass of cabernet, I started thinking how well red wine and jazz go together. But, just like a good wine, jazz has to be finely crafted to be properly enjoyed. The album is well-made, unique, and definitely worth a listen. Take a sneak peek on www.jasonreolon.com and be sure to catch them in action next time. Jason Reolon is also the pianist for bands Breakfast Included and The Restless Natives. 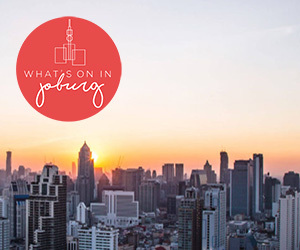 Keep an eye on WhatsoninCapeTown.com for news of his gigs.